Microsoft’s mission is to empower every person and every organization on the planet to achieve more. Our culture is centered on embracing a growth mindset, a theme of inspiring excellence and encouraging teams and leaders to bring their best each day. We believe we should each find meaning in our work and we ensure employees have the freedom and the reach to help make a difference in the world. Team Player: driving digital transformation with our customers is a team sport. We need teammates who can stay maniacally focused on our customers' satisfaction while operating in a highly-collaborative, matrixed global organization. Growth Mindset: your life is truly about learning-it-all. You approach every new piece of information, knowledge, and competency with insatiable curiosity. Ultimately, you're open to the ideas of others, where the success of others does not diminish your own. Relentlessly Resourceful: you have the drive to overcome any obstacle in your work. Customer Obsessed: you learn about your customers and their businesses with a beginner's mind and then bring solutions that meet their needs. Pure Challenge: demonstrated desire and ability to readily take on complex challenges and work towards solutions to seemingly unsolvable problems. Passion for Technology: you're deeply motivated by the incredible opportunity of how technology can inspire and ignite change and renewal. Applications to these opportunities are considered for all available Data & Applied Sciences roles including the ones described below, depending on education level and/or location. To be considered as a student or recent graduate, you should be within 12 months of graduation or graduated within the last 12 months. What makes Microsoft a great place for marketers? We have amazing products used by billions of people. We have an incredible diversity of businesses. From incumbent brands to challenger brands, and from established markets to emerging markets, we have some of the strongest consumer and enterprise products and services in the world. With an unparalleled depth and breadth of career opportunity and the ability to make a worldwide impact, you can design a career path that is hard to match anywhere. 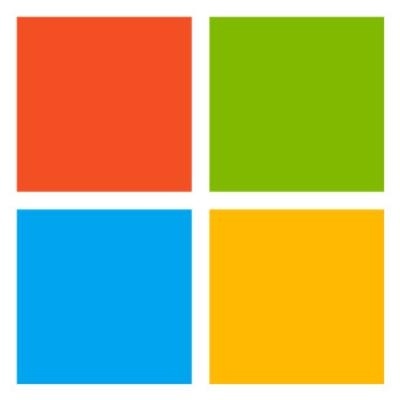 In addition, Microsoft regularly evaluates and evolves the marketing discipline to ensure these roles are designed to increase Microsoft's marketing impact and efficiency while helping our marketing professionals build expertise. You own the partner ecosystem and channel strategy. We need creative, analytical, and broad thinkers who collaboratively engage with partners to identify and achieve mutually beneficial results. As needed, you will incubate new partner models and deliver a partner gap analysis. You own the partner campaign, program activity delivery, and sales pipeline support. You always have the big picture in mind. You are adept at working with team members across business groups and agencies to deliver a global integrated marketing communication plan. You are the key to global marketing. You determine marketing strategy for your area and communicate through marketing plans, product content, and internal and external evangelism. This is a high visibility role, as you will manage annual marketing communications priorities and success metrics. You will direct priorities for events and media, public and analyst relations. You will oversee production and deployment of advertising and drive the strategy and execution of digital and social media. You will determine the optimal mix of engagement vehicles for your product, service, or geography. You'll need to be a strategic thinker to ensure execution, risks, and global alignment are optimal. Pursuing a Bachelor's or Masters degree in marketing, communications, psychology or another related field and within twelve months of graduation. Inspired by the continually evolving craft of marketing. Thrive in and deliver results in a fast-paced, ambiguous environment. Ability to manage complex projects with multiple stakeholders. English language and local language fluency for all roles (non-U.S. locations). Full unrestricted work authorization for your chosen location (non-U.S. locations).